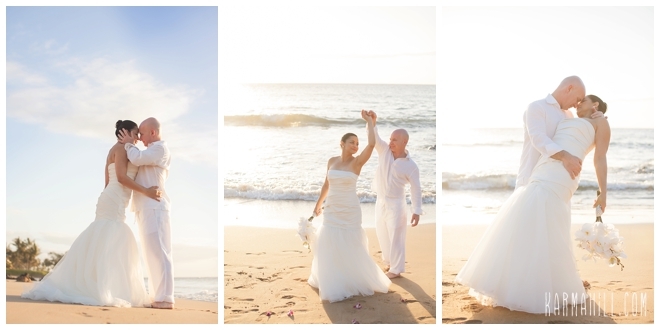 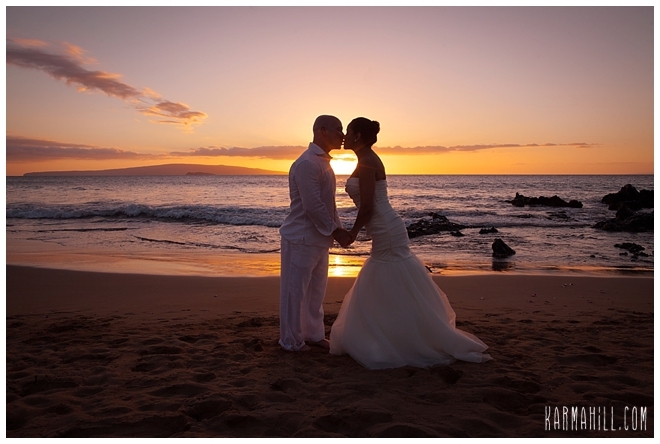 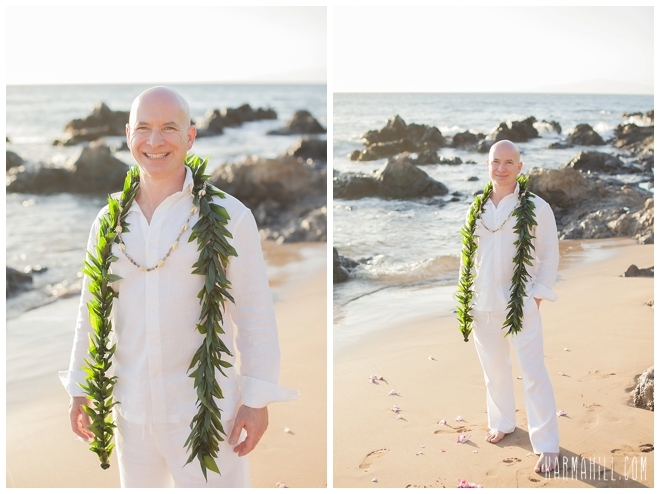 We met Adriana & Brad at Polo Beach last week for their Maui wedding. 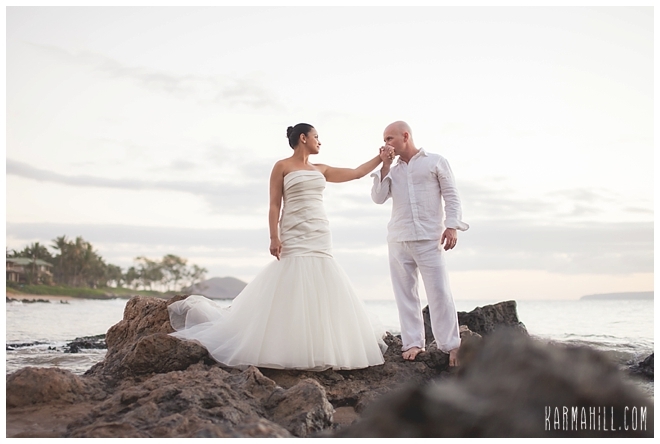 Although Polo Beach sits in front of the Fairmont Kealani and tends to be busy we were able to find this lovely couple a small area tucked away by the rocks to have their wedding at. 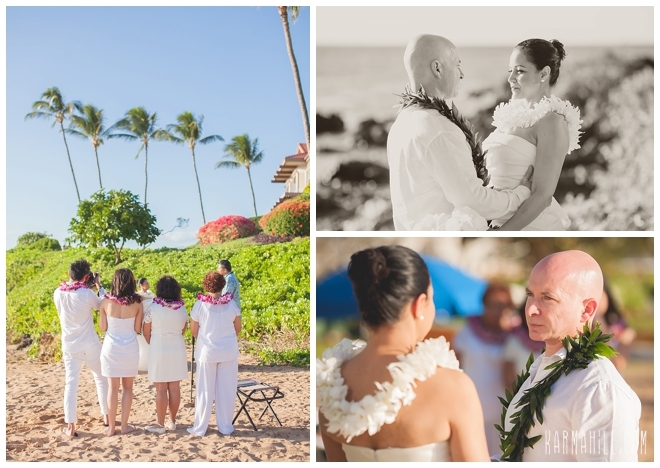 They were able to hear the waves crashing in the background as they exchanged their vows to each other. 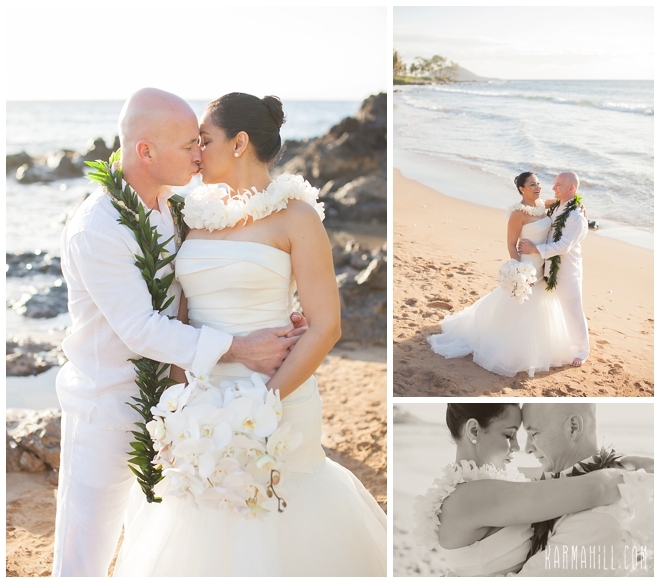 Adriana upgraded her bridal bouquet to a gorgeous cascading white Phalaenopsis bouquet by Dellables. 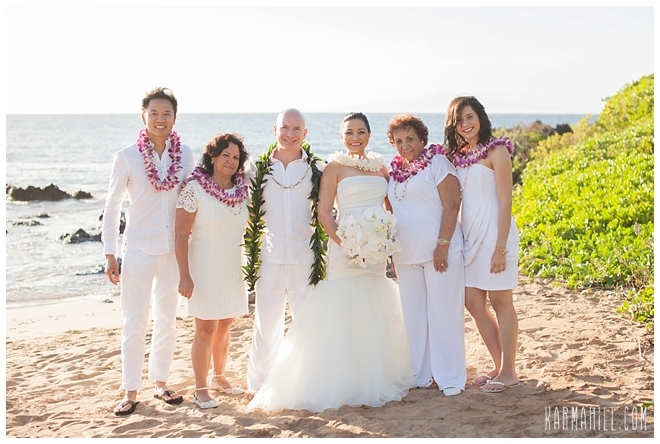 Reverend Valentine Rosete married the couple and staff photographer Ajja photographed the event. 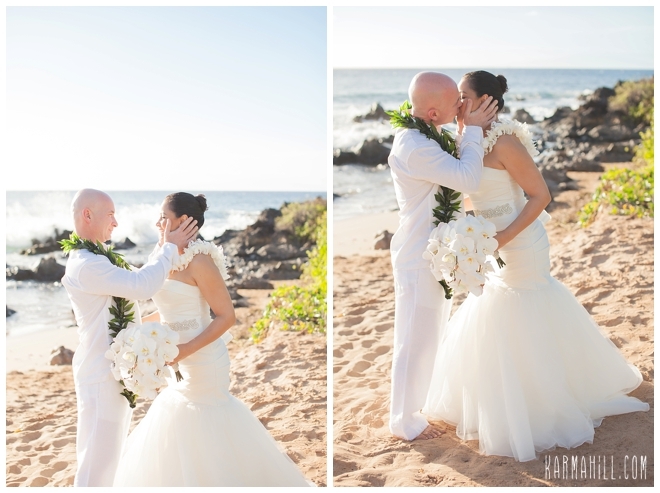 It was a very special day for these two and we were so happy we were able to be a part of it. 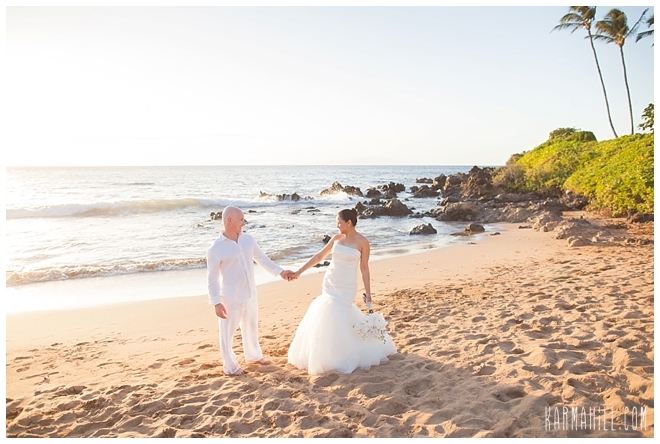 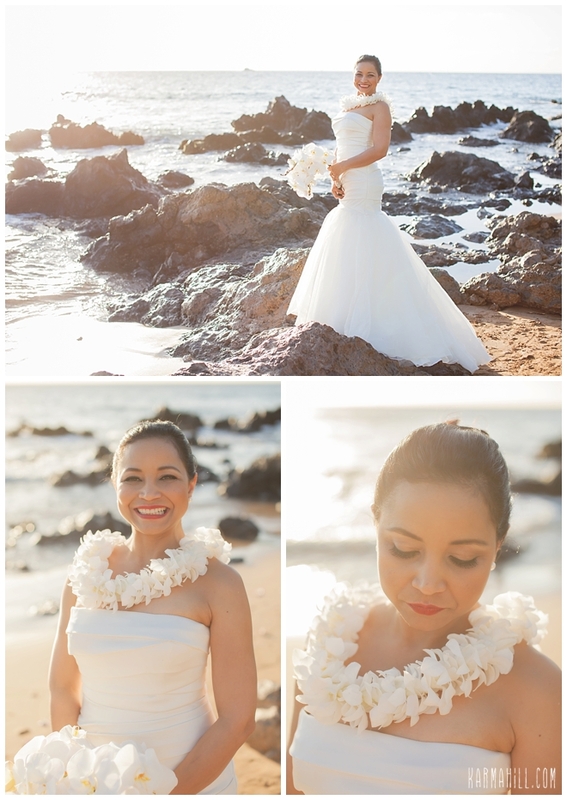 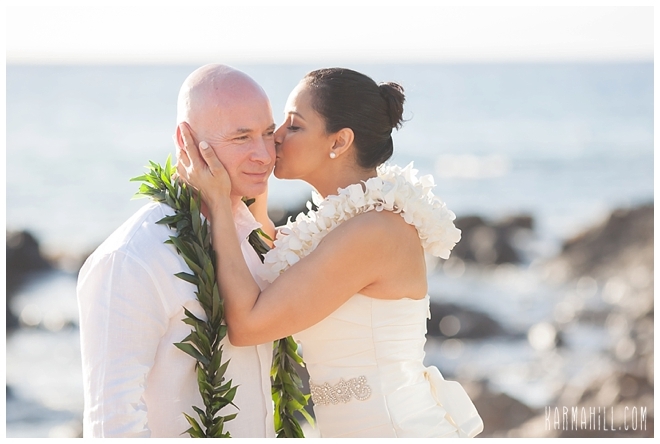 Thank you Adriana & Brad for choosing Simple Maui Wedding to be a part of your Maui wedding day! 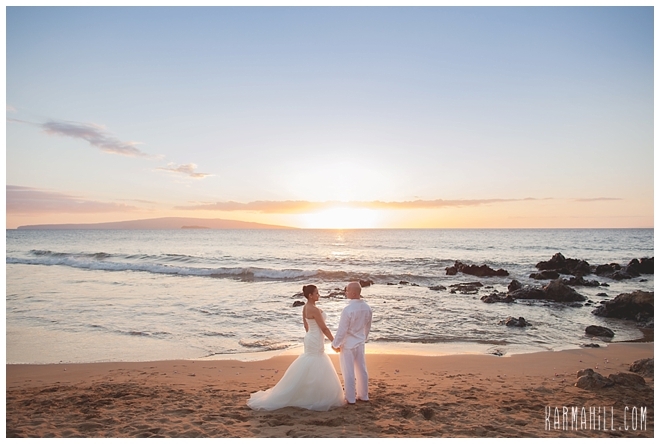 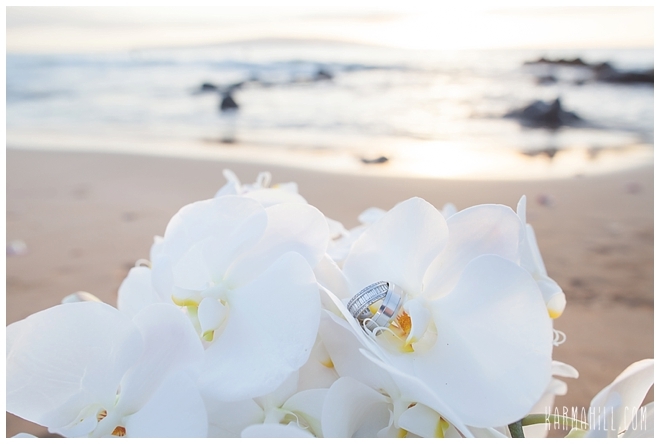 Check out our last Maui beach wedding with Alyson & Shelby!